This Friday, 1 May, communities are joining together in protest against the Barnett Government’s forced closure of Aboriginal Communities. This marks the second wave of rallies organised by the group SOS Blak Australia. The protests will occur world-wide including in Los Angeles, London, Berlin and Christchurch, as well as all Australian capital cities. Rallies will take place in Perth and regional Western Australia, including Roebourne, Newman, Port Hedland and Geraldton. The State Government announced in November 2014 that it intended to close up to 150 Aboriginal Communities in Western Australia. Five months later, the Government has still not engaged in discussion with Aboriginal people on this issue. The Barnett Government has not identified the location of Communities under threat of closure and has not identified what will happen to those who live in the Communities following the closure. To view the complete list of planned action visit SOSBlakAustralia. 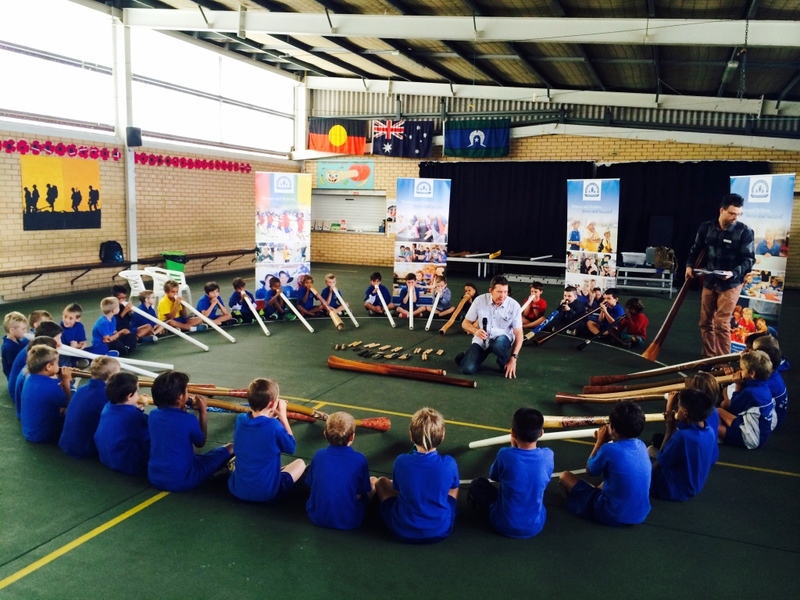 For the last three years, students at Rangeway Primary School in Geraldton have been learning to play the didgeridoo at school through a music program started by music and arts teacher George Scicluna. 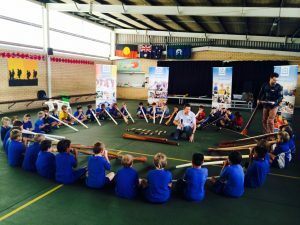 Didgeridoo players Robert Tester and Rolan Deutokom have been taking time out of their regular work days to teach the students for an hour a week, and it is clear the practice is paying off. Last year, the students opened up the Reconciliation Concert at the local Queens Park Theatre, supporting Archie Roach (see video below) and played in front of thousands at the local Football Finals. The program has gained funding from local mining groups and worked collaboratively with the local Bundiyarra Aboriginal Corporation to put on workshops and performances. Goerge Scicluna reports that they are now in the second phase of planning where they are helping other schools to engage and become part of the program. Free flu vaccines are now available for Aboriginal people most at risk from the virus, including children between six months and five years old, people over 65, pregnant women and children under 15. The vaccines are available from GPs, Aboriginal Medical Services and immunisation clinics. For more information, contact the Immunise Australia information line on 1800 671 811. Many Aboriginal and Torres Strait Islander peoples contribute to Australian society through music, art, culture, community, education, environment, sport, employment and politics. If someone in your community deserves to be recognised for their contribution, you can nominate them now for the 2015 National NAIDOC Awards. Entries close on Friday, 24 April 2015. For more information and nomination forms visit the National NAIDOC website.